Miller was the first player coach Doug Pederson mentioned when he was asked Tuesday about the team's depth at wide receiver, Zack Rosenblatt of The Newark Star-Ledger reports. Analysis: It's a bit early to reach any conclusions, but it isn't crazy to think Miller could enter a competition with Shelton Gibson and Mack Hollins for the No. 4 job at wide receiver. The 2016 third-rounder had just 261 receiving yards on 805 offensive snaps in two seasons with Houston and then spent most of 2018 on the Philadelphia practice squad. Miller signed a reserve/future contract with the Eagles on Monday. Analysis: Miller signed with the Eagles' practice squad back in early September, and the team appears as though it wants to give him a shot at the 53-man roster throughout the offseason and training camp. 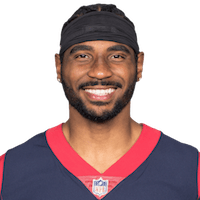 The receiver last played for the Texans in 2017, hauling in 19 passes for 162 yards and one touchdown over 11 games. The Eagles signed Miller to their practice squad Saturday, Zach Rosenblatt of NJ.com reports. Analysis: Miller, a 2016 third-round pick, transitioned from star quarterback at Ohio State to wide receiver in the NFL. He was released by the Texans during final cuts last week. Although he has not produced much at the NFL level, he will now get a chance to earn a role with the Eagles. Texans head coach Bill O'Brien said the team is "working through some things" in response to a question about Miller being released. Analysis: O'Brien addressed several topics after a slew of roster cuts came down Friday and made it sound like Miller could be back in the fold. "I don't know what's being instagrammed out there, tweeted out there, whatever - I'm not sure how that all works. But, we're still working through some things, Braxton's an improved player, no doubt about it and we'll see what happens." We were surprised that Houston let Miller go, as he's performed well in preseason games. Miller was waived by the Texans on Friday, John McClain of the Houston Chronicle reports. Miller started at wide receiver in place of the injured Will Fuller (hamstring) in Saturday's preseason loss to the Rams. Miller secured three of five targets for 26 yards and a touchdown in the Texans' 21-20 preseason loss to the Rams on Saturday. Miller caught three passes for 40 yards in Saturday's preseason win over the 49ers. Analysis: Miller's had an encouraging preseason, both in training camp and the first preseason game, but the view on him is less sanguine following Saturday's effort. He led the team with eight targets, but caught less than half and had a drop early. Bruce Ellington, on the other hand, made a strong case for the No. 3 receiver job, catching four passes for 50 yards and a touchdown (all on the opening drive). Miller (illness) made his return to practice Monday, Aaron Wilson of the Houston Chronicle reports. Analysis: Miller was sidelined during practice throughout the weekend due to a minor illness accompanied by soreness following a three-catch effort in Thursday's preseason opener against the Chiefs. His return to full health will be key moving forward as he competes for the starting role at slot receiver. Miller did not practice Saturday due to an undisclosed reason, but is expected to return this coming week, Aaron Wilson of the Houston Chronicle reports. Miller caught three passes for 29 yards in Houston's preseason win over Kansas City on Thursday. 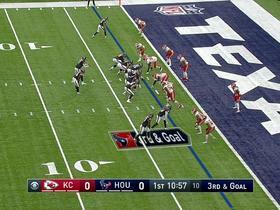 Analysis: Miller caught all three of his targets, one on all three of Houston's scoring drives. The third-year receiver entered camp needing to fend off a challenge for his roster spot from 2018 fourth-round draft pick Keke Coutee (hamstring). Thursday's game was a good start, and he should get more chances while Coutee is out for another two weeks. Miller is being challenged by fourth-round draft pick Keke Coutee, but his chances improved after Coutee sustained a hamstring injury Friday, Aaron Wilson of the Houston Chronicle reports. Analysis: Coutee's injury is expected to sideline him for a few weeks, which grants Miller a great opportunity to move to the top of the depth chart at slot receiver. There's some belief that the former quarterback, who is in the third year of a transition to receiver, is on his final chance following two middling seasons to begin his NFL career. Head coach Bill O'Brien said Miller's "come a long ways" since he was drafted by Houston and noted his versatility and improved hands. Miller likely will be competing against fourth-round draft pick Keke Coutee for the slot receiver job in 2018, Aaron Wilson of the Houston Chronicle reports. Analysis: Miller has yet to pan out since being drafted as a third-rounder in 2016. 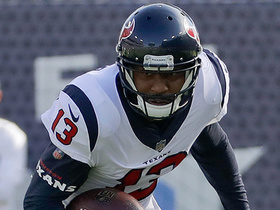 The Texans are trying to fit him in as a slot receiver, but Coutee's selection can be taken as an indication of the team's view of Miller thus far. With Bruce Ellington also in the mix for slot work, Miller might even find his roster spot in danger if he struggles during training camp and the preseason. 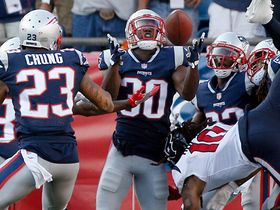 Miller caught two of four targets for nine yards in Sunday's 22-13 loss to Indianapolis. 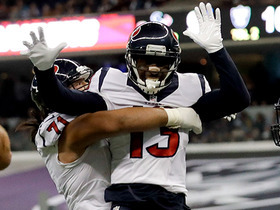 Miller is slated to start at wide receiver in place of DeAndre Hopkins (calf) on Sunday at Indianapolis, Aaron Wilson of the Houston Chronicle reports. Analysis: On Friday, the Texans ruled out Hopkins for the season finale, setting Miller up to make his third start of the season. In the first two, Miller accumulated seven receptions (on nine targets) for 53 yards, but he also had the benefit of operating with Hopkins in the lineup. 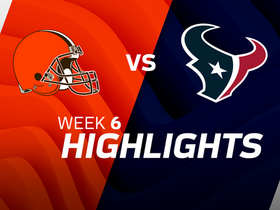 On this occasion, Will Fuller is the other starting wideout and T.J. Yates will be under center, so while the opportunity should be there Sunday, Miller doesn't have a great setup to make an impact in the box score. Miller (concussion) was a full participant in Thursday's practice. Miller (concussion) has been ruled out for Sunday's game against the Jaguars. Analysis: With T.J. Yates starting at quarterback for the Texans on Sunday, Miller may have struggled to make a notable impact as the club's No. 3 wideout even if he had suited up. DeAndrew White is likely to fill that role in Week 15 after catching one of his six targets for 24 yards in last week's loss to the 49ers. Miller was a non-participant at Wednesday's practice due to a concussion. 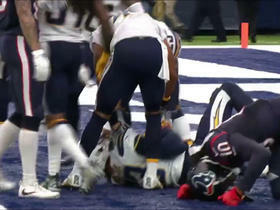 Analysis: Miller sat out last week's game, however, head coach Bill O'Brien characterized the concussion as a minor one. Prior to the concussion, Miller had the best two-game stretch of his career, catching nine balls for 114 yards. If he can get back on the field this week against the Jaguars, he'll slot in at third on the depth chart. Miller (concussion) won't play in Sunday's game against the 49ers, Sarah Barshop of ESPN.com reports. Miller (concussion) was held out of practice Thursday. Miller (concussion) didn't practice Wednesday. Miller is believed to have a mild concussion, Aaron Wilson of the Houston Chronicle reports. Analysis: Miller's come on the last two weeks (10 targets, nine catches) and, prior to leaving with a concussion, had a 57-yard reception in Sunday's loss to the Titans. His recovery took on added significance Wednesday after the Texans placed Bruce Ellington (hamstring) and C.J. Fiedorowicz (concussion) on injured reserve. If he's medically cleared in time to play Week 14 against the 49ers, Miller would serve as the No. 2 wideout. Miller was forced out of Sunday's game against the Titans with a concussion. Analysis: With Bruce Ellington having exited the contest with a hamstring injury and Will Fuller out with cracked ribs, the Texans' wideout depth is taxed to the point that RB Andre Ellington has seen some receiver reps Sunday, Aaron Wilson of the Houston Chronicle reports. Miller caught five of six targets for 43 yards in Monday's 23-16 loss to the Ravens. Analysis: Will Fuller's rib injury has opened a door for Miller and Bruce Ellington (eight targets, three catches, 29 yards) to be potential fantasy contributors. Miller's 43 receiving yards are a career high, but he needs to string together multiple weeks of production to be trusted in any fantasy format. Fuller opens the practice week for Week 13 as questionable, so there could be an opportunity for Miller against the Titans next Sunday. Miller was activated for Week 10 and lined up at quarterback on some Wildcat-style plays during Sunday's 33-7 loss to the Rams. Analysis: Miller was activated for just the third time in the last six games, but was not targeted. The Texans have often talked about using Miller in various roles, but outside of an occasional end-around, we haven't seen much of that versatility. The former Ohio State quarterback was utilized as a change of pace on a few plays, but the Rams were not fooled. As for Miller's primary job as a wideout, he could see a boost in opportunities, depending on how Will Fuller's rib injury shakes out this week. Miller (coach's decision) is inactive for Sunday's game against the Colts. Analysis: Miller had logged a combined 10 offensive snaps over the Texans' last two games, so his inclusion on the inactive list Sunday doesn't come out of nowhere. Chris Thompson, who plays a more significant role on special teams than Miller, will thus step in as the Texans' No. 4 wideout for the day. 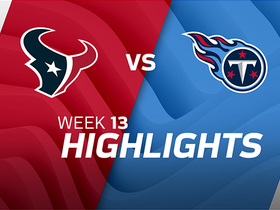 Watch the best plays from the week 13 matchup between the Houston Texans and Tennessee Titans. Houston Texans quarterback Tom Savage finds wide open wide receiver Braxton Miller for a 57-yard gain. NFL Networ's David Carr speaks on the Houston Texans plan at quarterback moving forward. Could the utilize Braxton Miller? 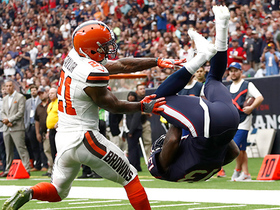 Catch the top flay from the week 6 matchup between the Cleveland Browns and the Houston Texans. 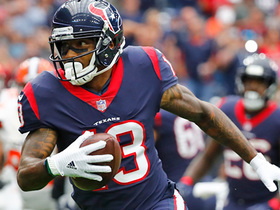 Houston Texans wide receiver Braxton Miller runs in a 1-yard pass from quarterback Deshaun Watson for a touchdown. Houston Texans quarterback Deshaun Watson has his last second Hail Mary intercepted by New England Patriots safety Duron Harmon as time expires in the team's 36-33 loss. The "Good Morning Football" crew talks about the players to watch in Preseason Week 1 matchup between the Texans and Panthers. Houston Texans QB Brock Osweiler is intercepted by Kansas City Chiefs cornerback Marcus Peters in the end zone. 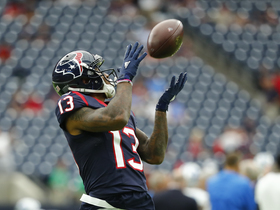 Houston Texans wide receiver Braxton Miller catches the first touchdown pass of his NFL career on a 12-yard pass from quarterback Brock Osweiler against the Oakland Raiders.